The NLN also has a role in supporting state and territory peak bodies to be as effective as possible through promoting the sharing of knowledge, skills and experience. The National Landcare Network (NLN) is the representative body for Landcare groups across Australia and works to provide a voice for Landcare at the national level. The NLN is made up of representatives from each State and Territory, who come together to share their successes and support one another in overcoming challenges. The NLN aims to tell a collective story that reflects the shared experiences of Landcarers across Australia, and advocate for the Landcare movement to enable it to continue its essential work building resilient and productive landscapes, and protecting our natural environment. 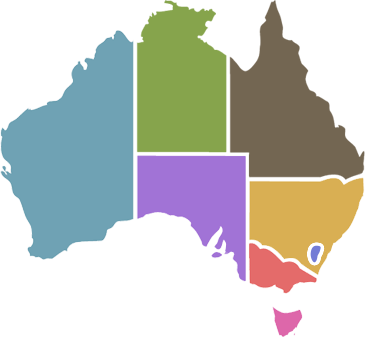 Representing the peak Landcare bodies in each state. Each state and territory has its own Landcare organisation whose job it is to advocate for grassroots Landcare. These organisations are all members of the NLN, and nominate representatives to sit on its governing bodies. In NSW, Landcare NSW represents that Landcarers of the state. The NLN produce a regluar newsletter called the Fairywren. The newsletter gives a snap-shot update on happenings at the NLN and news from Landcare across Australia.